Deal alert: Galaxy Note 8 for $525 right here! Ever since the Galaxy S9+ came out, everyone's been scratching their heads, asking the same question — “It's all-around better than the Galaxy Note 8, but the latter still costs $110”. Indeed, the only thing the Note 8 has over the S9+ is the S Pen, but no matter how much of a stylus fan you are, it's really, really hard to justify dropping $950 on it. 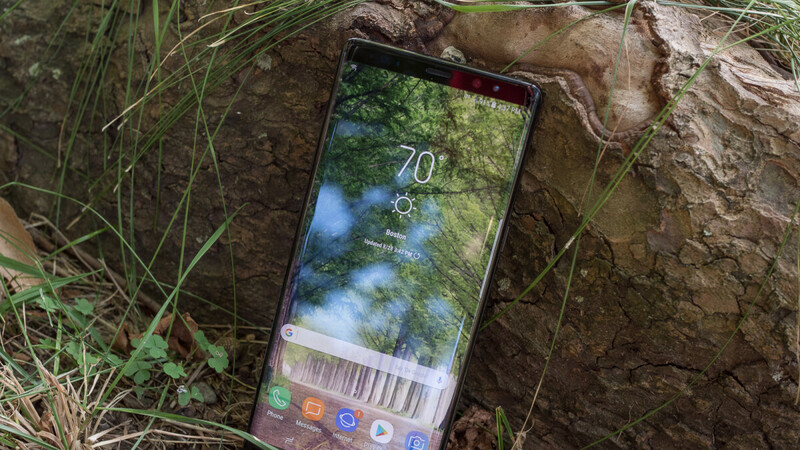 To top it off, its successor — the Galaxy Note 9 — is only a month away. But hey, good news is, you don't need to grab one at full price. In fact, there's an eBay shop that's selling a bunch of Note 8 units in almost new condition for $524.99. The item is listed in "New other" and the page claims the phones might only show minor signs of handling. No original box and accessories — buyer will get a wall plug and a generic USB Type-C cable. So, yeah, that means that you won't be getting the AKG-branded earbuds with this one. The handsets are Verizon-branded, but will also work on T-Mobile and AT&T — and not on Sprint — as per the shop's description. The only color option you have here is Orchid Gray, a.k.a. "almost purple, but not exactly". You've got a 60-day money back guarantee, too. Does this support band 12 on t mobile? "The handsets are Verizon-branded, but will also work on T-Mobile and AT&T" Did you not even read the article. Did you read his question? Just cause it’s compatible with tmobile doesn’t mean it’ll work with the band he’s asking about. You commenting on anybody’s reading comprehension is laughable. You trolling Samsung articles are even more laughable. How am I trolling this article? Hay I can admit when I was wrong, so sorry about that. I read it quick and just focused on the T-Mobile part. The best thing to do is message the seller if you are comfortable buying off eBay. You are better off watching for deals at Best Buy and getting a new phone with a lot better warranty.